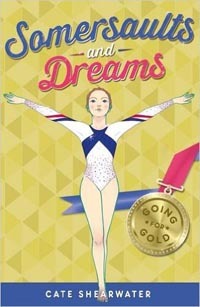 See how the first book cover evolved from rough sketches to the final design Somersaults and Dreams follows young gymnast Ellie Trengilly, her friends – and rivals – in their adventures at the prestigious Gymnastics Academy in London. There's fun-loving Nancy and her twin brother Tam, crazy Katya Popolov, the Russian circus girl and 'Queen of the Beam' Scarlett - not forgetting the crazy but awesome coaches! Follow their ups - and downs as they work towards British Champs, National Squad, European Champs … maybe even the Olympics? 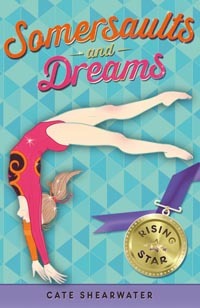 The Somersaults and Dreams series is a rollercoaster ride of friendship, rivalries, setbacks and triumphs, with echoes of classic stories like Ballet Shoes. Perfect for fans of Cathy Cassidy and Jacqueline Wilson. Ellie has a dream … to go to the Olympics and make her family proud. When she's offered a place at the prestigious Gymnastics Academy in London, it looks like she has a chance to make that dream come true. But there are obstacles to overcome, new friends to make, and rivalries to face. Will she make it, against all the odds? Ellie is back at the Academy and determined that nothing is going to stop her qualifying for British Championships this time. New girl Katya Popolov has come straight from the Russian circus and is finding the discipline of gymnastics hard to stick to! Meanwhile Nancy has a secret worry of her own. 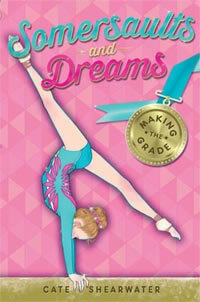 Can Ellie and her friends cut it in the tough world of elite gymnastics? Who will step into the spotlight and who will flip out?